Good Bye to Landlines and Hello to Cell Phones!! Lots of people are dropping their home phone landlines and just using their cellphones to communicate. This might seem like a great money-saving idea, but there are some drawbacks you need to think about. Our calls do drop out, text messages get stuck and never send or perhaps our Internet browsing slows to a crawl. Someone else had excellent coverage with one provider, but then switched carriers for a new plan. Only then did she find out that her new phone rarely connected inside her home. If you are going to use your cellphone as your primary phone, you really need better reliability than that. Some buildings seem like they were designed to block your reception. It might be a particular room, a certain spot or anywhere you stand. 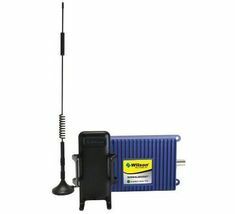 There’s not much you can do about poor reception when using your phone at the store or work, but at home, you don’t have to put up with it. 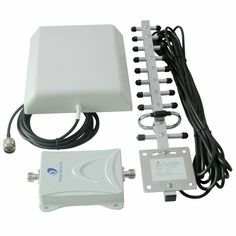 There are plenty of ways where one can actually boost cellphone signal inside home. With a stronger signal, you can feel free to walk from one room to another while talking or be confident that your text messages will actually send. A third-party company like zBoost or weBoost makes boosters that do work with multiple carriers. However, you’re probably going to have to pay for this out of pocket. On the lower end, these gadgets set you back about $200. Plus, if you want higher-speed 4G coverage, count on those booster price tags bumping up to $400 or more. However, 4G is mainly an advantage only if you use your phone for Internet connections. 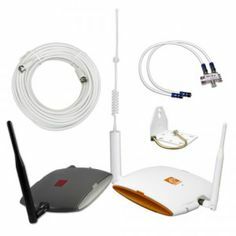 But if you have Wi-Fi at home, you can use your home Internet connection on your phone and not need the more expensive 4G booster. 99% of the people in today’s world have a Wi-Fi wireless network already set up at home, and hopefully you’re already using it for home Internet access on your smartphone and tablet. It’s a smart way to save money on your cellular data plan and avoid overages. Wi-Fi can also make calls and send texts using apps like Skype, Google Hangouts, Apple’s iMessage and other third-party messaging apps like WhatsApp and TextPlus. So if you don’t have a signal, it’s no worry. 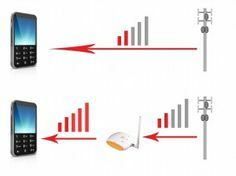 However, carriers and manufacturers are now exploring seamless Wi-Fi calling. T-Mobile, for example, has Wi-Fi calling on its latest phones (and you can activate it on some older models). When you have a poor signal, it will automatically switch over to a nearby open Wi-Fi network so you won’t even notice. Expect AT&T, Verizon and Sprint to start offering this soon. If interested one can as well switch to a phone system like Republic Wireless that has Wi-Fi calling as a main feature. Republic Wireless offers incredibly low-cost plans because it mostly relies on Wi-Fi for calling and texting and only uses cellular when Wi-Fi isn’t available. Again, the switch is seamless. Next Next post: End to the Plight of Disturbed Signal is not coming, it is already here!